If you are looking for a turn-key professional development solution, let GoSignMeUp registration and the Canvas Learning Management System be your turn key solution! 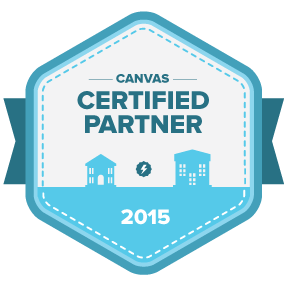 GoSignMeUp is now a Certified Canvas Partner! Click here for more about the partnership. If you currently are using GoSignMeUp registration software to manage course registrations, its easy to add online content delivery with a learning management system such as the Canvas Learning Management System. 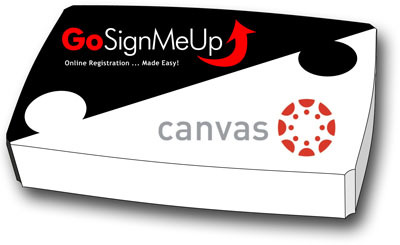 GoSignMeUp is a certified Canvas Learning Management System partner; we have directly integrated our product into the Canvas Learning Management System. Our strong ongoing partnership has created systems in which users register and pay through GoSignMeUp and are then placed in real-time into the Canvas Learning Management System to start their online training. GoSignMeUp and Canvas Learning Management System integrate seamlessly to create the ultimate on-line professional development platform! The combination of GoSignMeUp and Canvas Learning Management System let you easily track continuing education units and manage a professional development program. Canvas allows you to create a cloud-based content delivery system for your instructional content. With GoSignMeUp, potential students can then search, find and register for courses – and even lets you charge for them if you wish. Turn an existing online training curriculum in to a profit center by allowing other people outside of your organization to sign up and pay for your existing professional development content! GoSignMeUp is a Certified Canvas Partner!